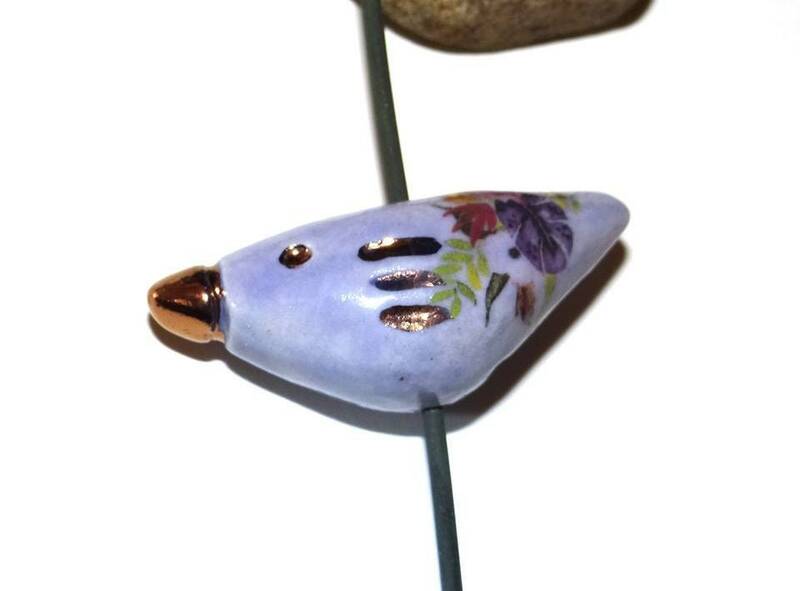 Large ceramic bird focal bead. This listing is for 1 bead. Approx 30mm wide. Copper luster details to beak, eyes and wings. 1.5mm hole which is vertical. Would make a lovely focal for a whimsical necklace! The third firing makes the wording permanent and a fourth firing adds the images.